-A tiny subset of unmissable CAD functions for Blender 3d. -### OK, what's this all about? -Dedicated CAD software speeds up drafting significantly with functions like: `Extend`, `Trim`,  `Intersect`, `Fillet /w radius` and `Offset /w distance`. At the moment of this writing many of these functions aren't included by default in regular distributions on Blender.org, so i've coded scripts to perform a few of the main features that I missed most. -My scripts have shortnames: `VTX, V2X, XALL, BIX, CCEN` and are described separately in sections below. `Fillet` and `Offset` are written by zmj100 and can be found [here](http://blenderartists.org/forum/showthread.php?179375). -The VTX script has lived in contrib distributions of Blender since 2010, with relatively minor changes. The feedback from BlenderArtists has been [overwhelmingly positive](http://blenderartists.org/forum/showthread.php?204836-CAD-Addon-Edge-Tools-(blender-2-6x)). I'm not going to claim it's bug free, but finding any showstopping issues has proven difficult. It now performs V, T or X selection automatically. -Expect full freedom of orientation, but stuff must really intersect within error margins (`1.5E-6` = tolerance). These kinds of functions are handy for drawing construction lines and fixing up geometry. -  - V : extending two edges towards their _calculated_ intersection point. -  - T : extending the path of one edge towards another edge. -  - X : two edges intersect, their intersection gets a weld vertex. You now have 4 edges and 5 vertices. -- Bam. the rest is taken care of. -Intersect all, it programatically goes through all selected edges and slices them all using any found intersections, then welds them. -  - XALL is fast! 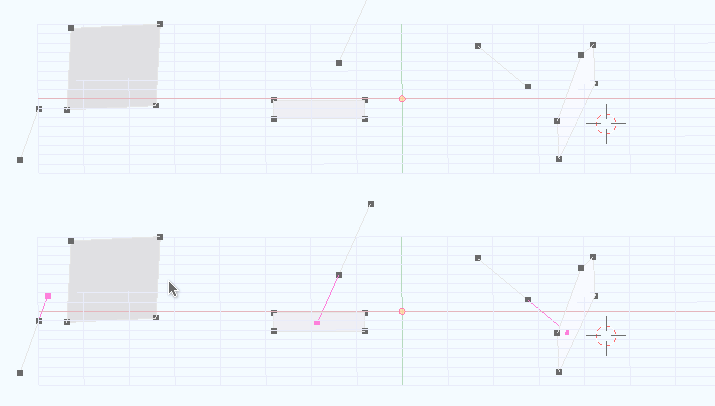 -  - Select as many edges as you want to intersect. -This might be a niche accessory, but sometimes all you want is a vertex positioned on the intersection of two edges. Nothing fancy. -Creates a single edge which is the bisect of two edges. -this operator will places the 3d cursor at original center of that circle. -updated version may become a modal operator to generate a full set of circle vertices, with variable vertex count. -The issue tracker, use it. --  Let me know if these things are broken in new releases. Why? I don't update Blender as often as some so am oblivious to the slow evolution. --  If you can make a valid argument for extra functionality and it seems like something I might use or be able to implement for fun, it's going to happen.